Growing up in Brooklyn and Queens during the 60's certainly rekindles my fondest memories of Coney Island on July 4th. Nathan's Hot Dogs, Steeplechase Park, Wonder Wheel and the legendary roller coaster "The Cyclone". During that golden era while I was pounding down hot dogs and crinkle cut fries I could never have anticipated that years later I would return to Coney to produce and direct the "live" TV legendary event titled, " Nathans 4th of July Hot Dog Eating Contest", for 7 straight years (2004-2010). Currently there is only one hot dog champion winning and dominating Nathan's every year for almost a decade now. The July 4th contest has grown a bit weary and tiresome. I remember the days when a hot dog eater from Japan truly made the July 4th Coney Island hot dog contest a hard fought competition. 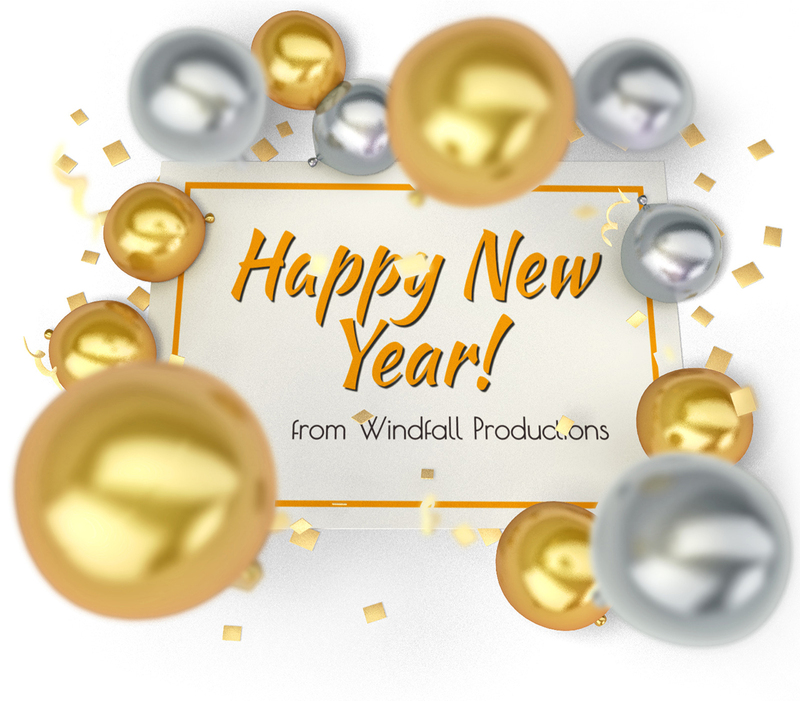 Our Windfall Productions shows were unforgetable. Take a look... Click on the link below. 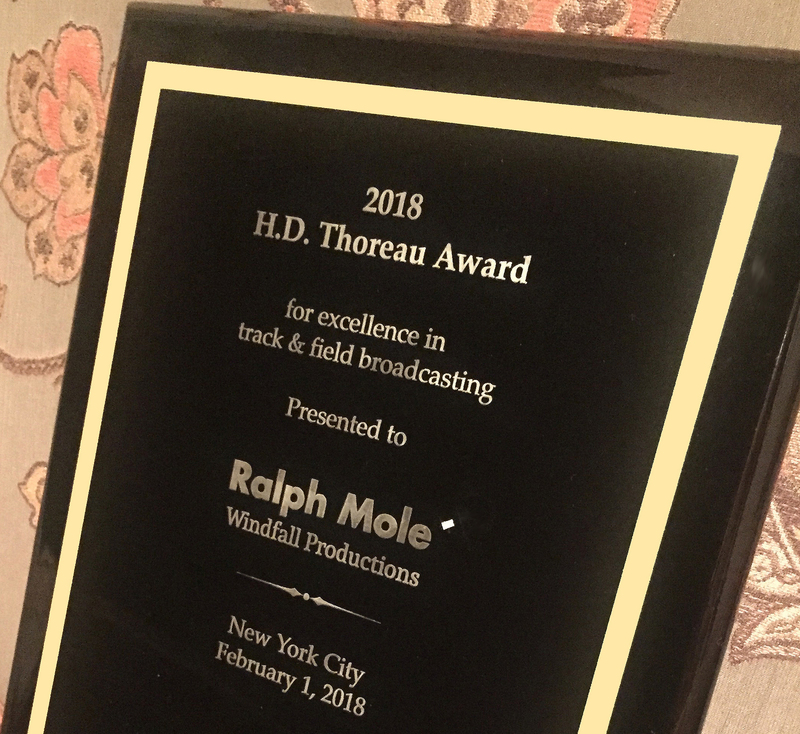 On February 1st the Track and Field Writers of America presented Ralph J Mole´, Executive Producer/Director of Windfall Productions with their honored H.D. Thoreau Award for excellence in Track and Field Broadcasting. Jack Pfeiffer, TAFWA president states, "we needed to recognize this broadcast skill set in our winter awards program". H.D. Thoreau, a pioneer in T&F broadcasting, was one of three CBS track and field announcers who first televised the Summer Olympics in Rome, 1960. Mole’ comments "I am truly honored to receive this prestigious award from the Track Writers, an association exhibiting great passion for the athletes and journalistic integrity for the athletes achievements on the track and on the field. My very first track meet takes me back to 1975. It was the Indoor Nationals at Madison Square Garden and I working as a stage manager with Marvin H Sugarman Productions. I was hooked by the sport immediately at that historic event and I carry an unlimited enthusiasm towards Athletics to this day." Other recipients of the H.D. Thoreau Award include Jim McKay, ABC Sports (posthumous) and Dwight Stones, Olympic High Jumper. Synchronous to the TAFWA award Ralph J Mole´ begins his 39th year producing and directing TV Sports for ESPN and 2018 will commemorate Windfall Productions 10th consecutive year as television packager for ESPN Collegiate T&F. RJ Mole´ states " I look forward to working ESPN's T&F Series with fellow H.D. Thoreau winner Dwight Stones during our 2018 season". Windfall has the best of 2018 in it's sights for our upcoming ESPN Collegiate T&F Series. Executive Producer, Ralph J Molé states we have established an "olympic standard" in our TV coverage of Collegiate Track and Field on ESPN and strive forward continuing to "raise the bar." For the 2018 ESPN Collegiate Track & Field Season, Don Colantonio, will be joining Executive Producer/Director, Ralph J Mole' and Windfall Productions as Operations Producer/Tech Manager for ESPN'S Collegiate Championship T&F Series. Ralph and Don have a strong professional history together, Mole' states " Colantonio and I had been quite the big event production team at ESPN. Together we conquered (15) consecutive years of live ESPN World Cup Skiing, (17) Winter & Summer X-Games, (6) Olympic Festivals, Mike Metger's first ever "Motorcycle Backflip" over Ceasar's Palace fountain in Las Vegas and many other special events." Colantonio comments, "I’m thrilled to be reunited with my longtime friend and mentor for this track and field series. Ralph is one of the most versatile and talented Producer/Directors in Sports Media. As a leader, he inspires creativity and excellence throughout the production team and the content creation process." Mole continues to say, "I am inspired that Don was available for the 2018 ESPN Collegiate T&F Championship Season, Don's recent independent production schedule includes DirecTV: Executive Producer for Multi-Screen coverage of Tennis and Golf Majors, including US Open, British Open, Wimbledon, Don also serves as Technical Producer for 4K Production and event coverage of UFC, WTA Tennis, FIS World Cup Skiing, he is in high demand and we at Windfall are glad to get him on our track series production team".